Menorca is perhaps one of Spain’s most underrated destinations. 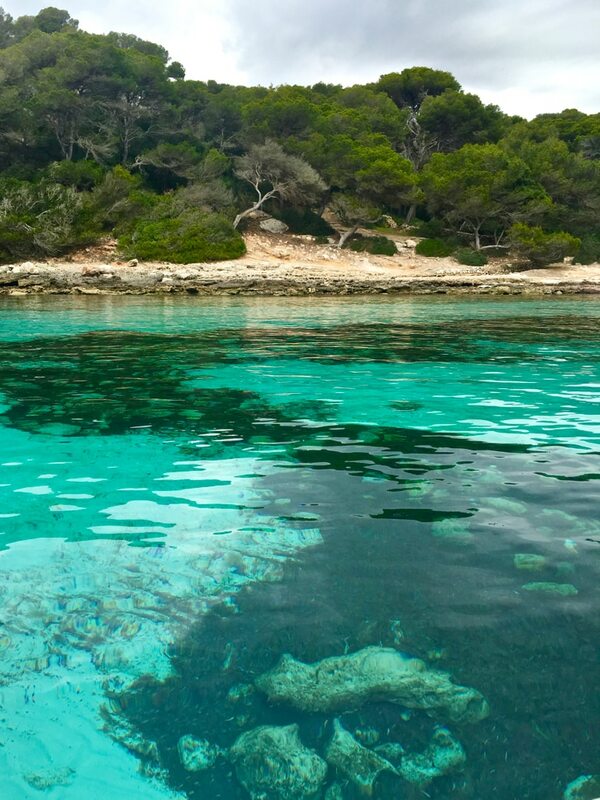 It has seen visitors for decades, but this quieter Balearic island is often overshadowed by its bigger, more glitzy neighbours. 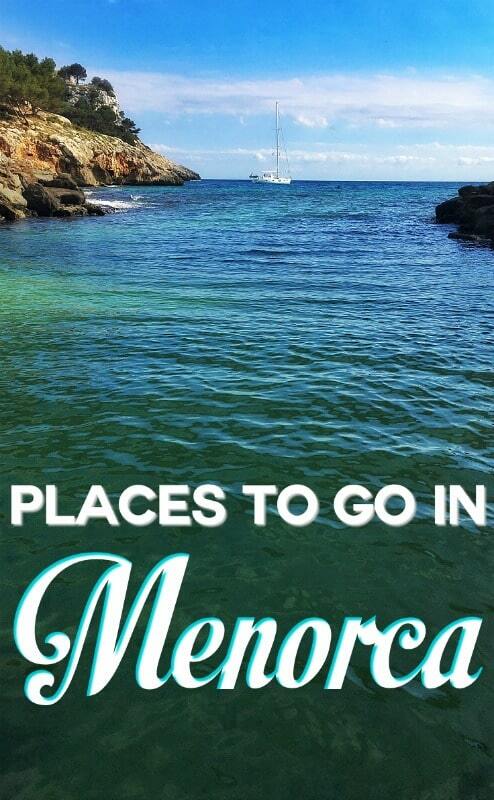 But luxury travellers will find lots of great things to do in Menorca and a perfect escape. Part of Menorca’s appeal is that it hasn’t succumbed to tourism at the cost of its traditions and character. Menorquí’s are proud of their culture – they even have their language, a variant of Catalan. And across the island there are plenty of opportunities to embrace that culture, from food to music, and more. Menorca is a small island, but it’s big on history, from thousand-year-old megaliths to gothic cathedrals. It has more beaches than Majorca and Ibiza combined. It also offers plenty of opportunities for connecting with the great outdoors and to discover nature. 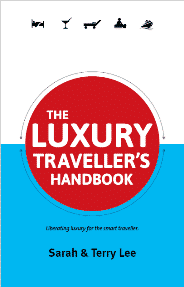 This guide to the island collates ideas on places to go and things to do in Menorca for adventurers, food lovers, culture vultures, and every kind of luxury traveller. Menorca is one of those places that you find yourself relaxing into with ease. It’s easy to feel at home there and from its beaches to its countryside. 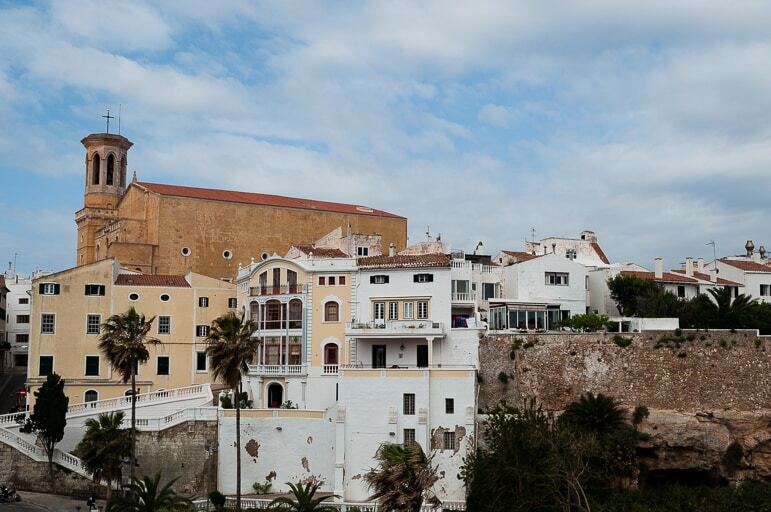 Start with Menorca’s main towns to discover its culture and character. Ciutadella is the most historic and to walk its streets will whisk you away on a wistful journey through time. Mahon is the capital now, since it moved from Ciutadella in the 18th century. 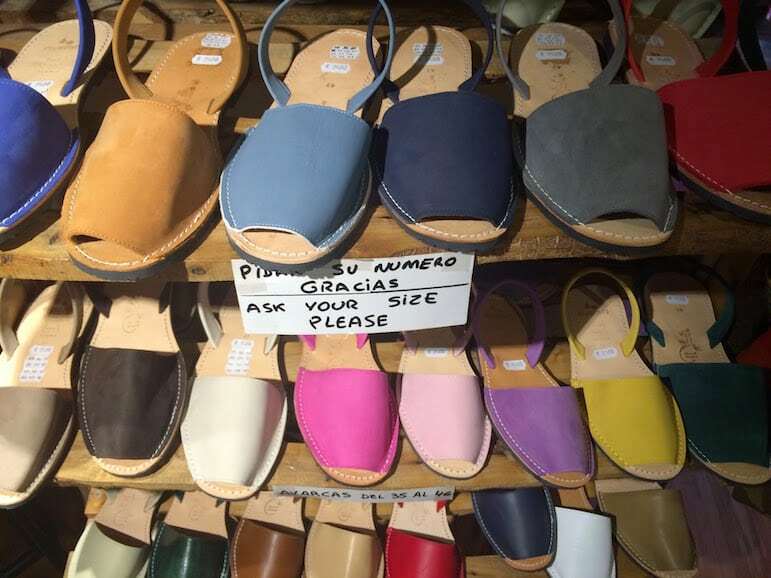 Though it doesn’t have the same charm as Ciutadella, it is a good place for shopping – Menorquí designers have been drawing plenty of attention from Spain’s fashionistas. It also has a lovely harbour with some great restaurants. Fornells is a fishing village on the north coast which has been grown by tourism. It has a pretty little harbour as well as a couple of good beaches. Menorca has more than 130 beaches, many of which are virgin beaches in hidden coves and even bays secreted away behind caves. Its northern beaches are generally larger with panoramic views and coarser sand of varying hues. They can be more exposed to wind and waves on less calm days. Southern beaches have fine white sand and are backed by pine-forested cliffs. 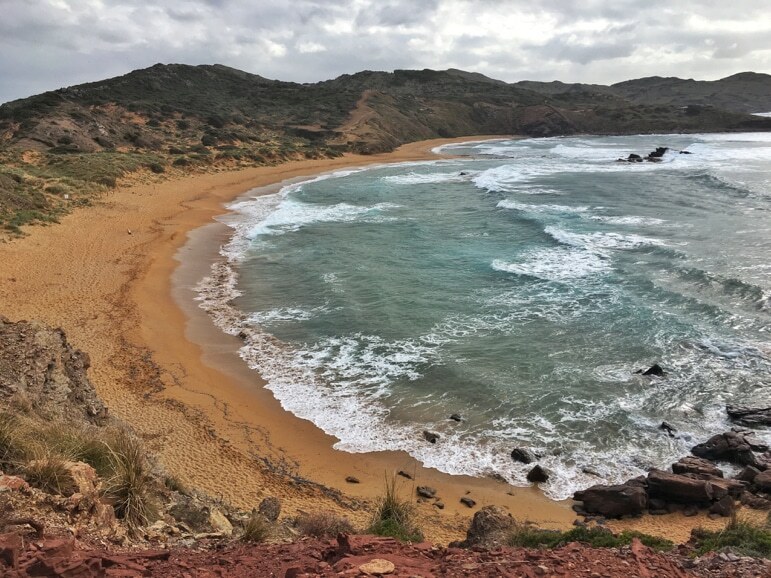 Many of Menorca’s best beaches are found off the beaten path, via walking routes, such as the Cami de Cavall that takes walkers from bay to bay, or via the Camino de Caballos horse-riding trail that encircles the island. 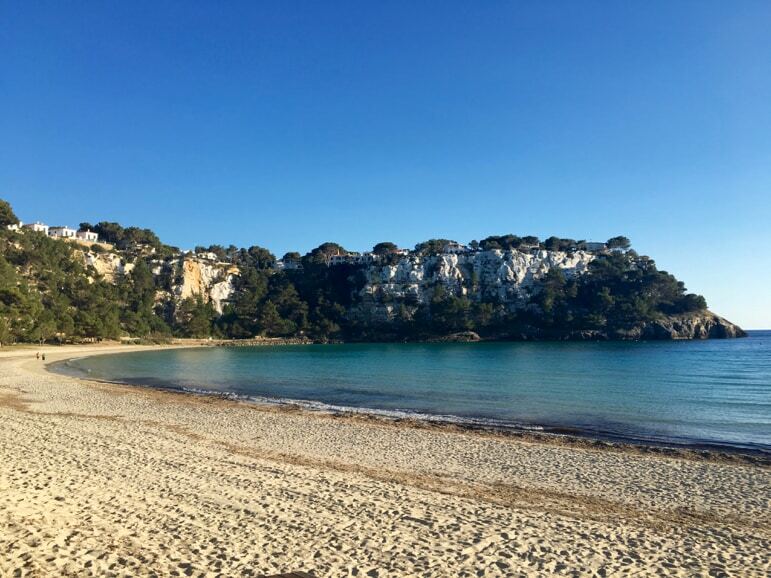 One of our favourites is Cala Mitjana one of the first of Menorca’s virgin beaches to be made accessible via car and has two water caves, a three-minute drive from Cala Galdana. 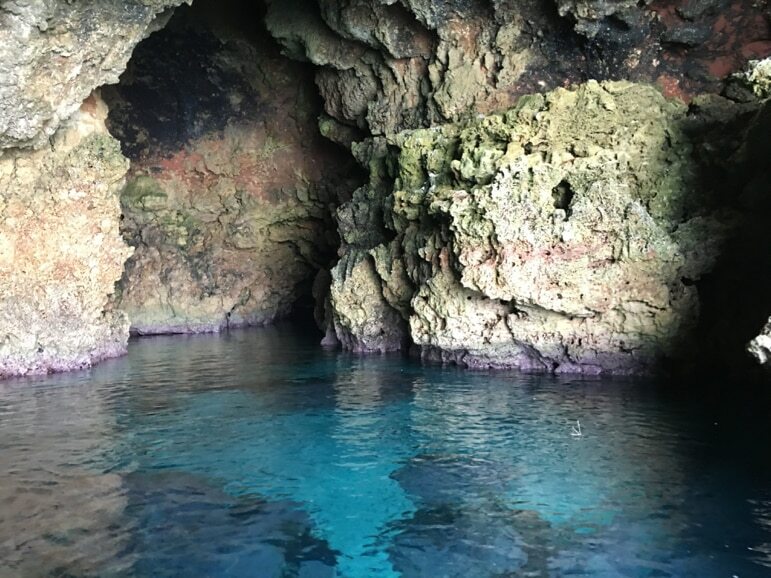 It has two sea caves – a smaller one close to the beach with another small beach inside, plus a much larger cave, which is great for snorkeling. 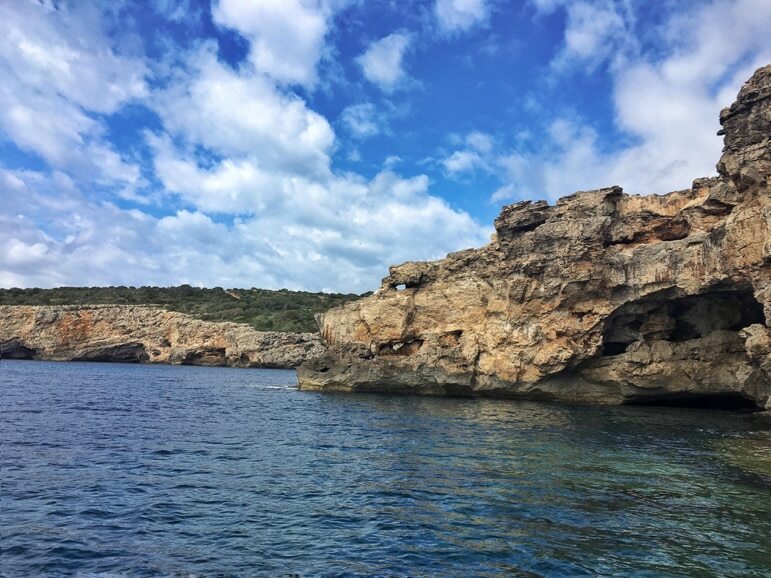 Menorca’s coast is also home to many caves, some of which were once used by pirates to hide their riches. But today they are explored by the island’s visitors. 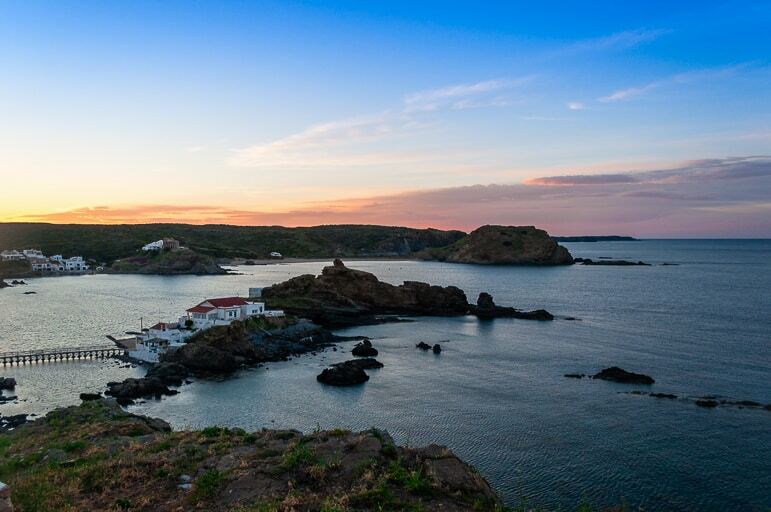 As the sun sets, you can still make the most of Menorca’s coast by heading for Cova d’en Xoroi. This bar and nightclub in a series of interconnecting caves halfway up a cliff, juts out over the ocean, and is the perfect spot for sundowners. Make yours a pomada. This very Menorquí blend of gin and lemonade is the cocktail of choice. If you love being active on holiday there are all manner of things to do in Menorca that will also give you an opportunity to see more of the island. 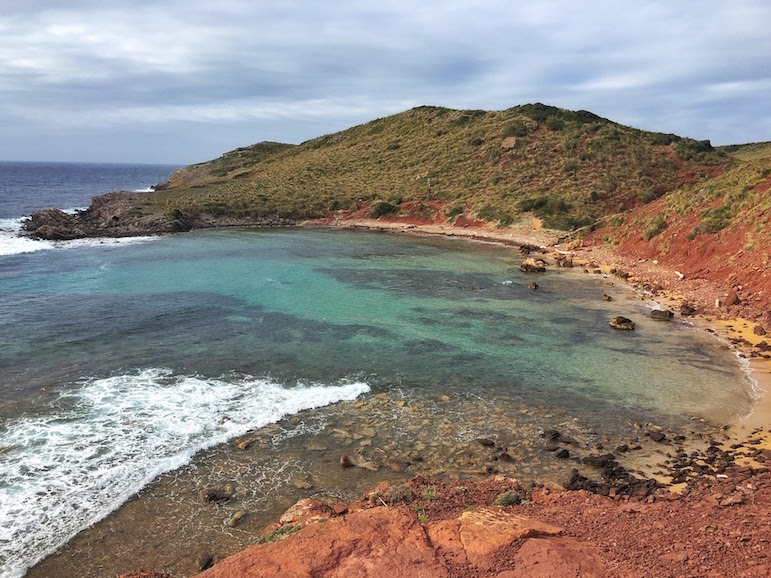 In fact you can spend the whole time seeing the island on mountain bike or on horseback, if you prefer to take things slowly as you discover all of Menorca’s quiet corners. You can hike or mountain bike the 185 kilometre Camí de Cavalls, with Camí de Cavalls 360º. Or if you prefer exploring on horseback you can ride the whole route with Cavalls Son Angel, which also offers a simple one hour or half day ride along the coast. If it’s sea air you’re seeking then you could try sailing around Menorca’s bays from Es Castell, or go by speedboat with Menorca En Barco. Alternatively, if you want to go it alone, and get into the smaller caves try your hand at kayaking. Menorca’s waters are rich in marine life so there’s plenty to keep the interest of scuba divers, and if conditions are poor in the north on the day of your dive, you can usually find it’s better in the south, or vice versa. This allows for plenty of opportunities to take in the wildlife. Menorca has a wonderful history, and plenty of cultural highs for visitors to discover. Start at the very beginning by exploring some of its 1,574 prehistoric Talayotic settlements, which are 3,000 years old. These crumbling structures, such as those Naveta des Tudons, a funereal chamber, sit in fields of wild flowers and long grass – but these are not unloved, overgrown relics of the past. These sites are set to gain UNESCO World Heritage status. 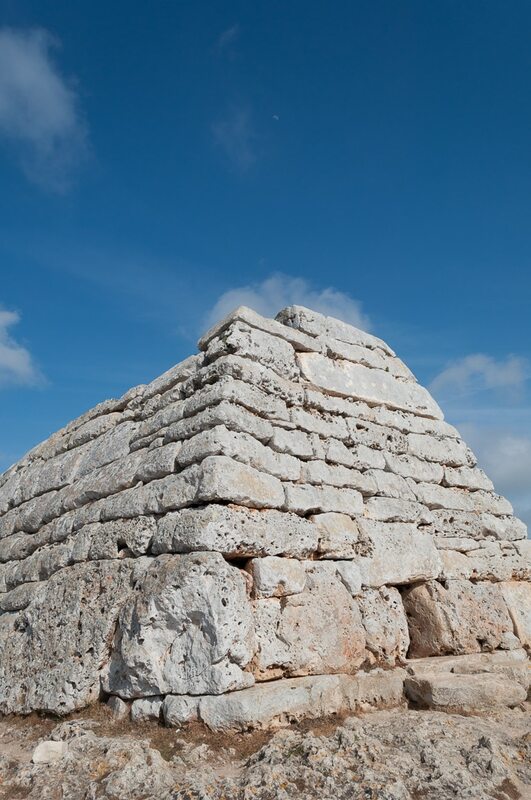 From early settlements, to bronze age megaliths and necropoli, there’s much to discover of Menorca’s past. The city of Ciutadella has history around every corner from its gothic cathedral to its old market place. I recommend losing yourself in its winding streets for at least an afternoon. Get a slice of Menorcan life at one of the island’s traditional cave bars. 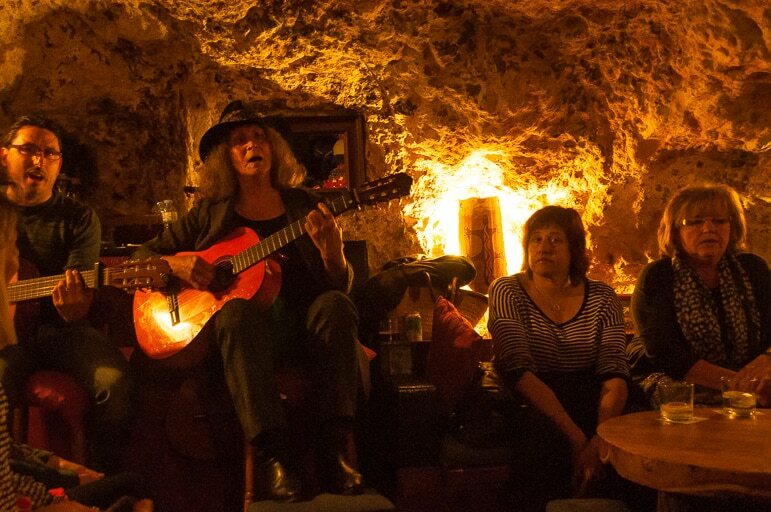 In a seaside cave in Es Castell, Bar Es Cau’s musicians play melancholic songs to a Cuban beat, known as avaneneras. And amid the cosy glow of candlelight you’ll also encounter a warm Menorcan welcome. There are many great things to do for foodies in Menorca – from seeking out its excellent cheeses to enjoying ensaimada. And so there are just as many great places to go for a meal. 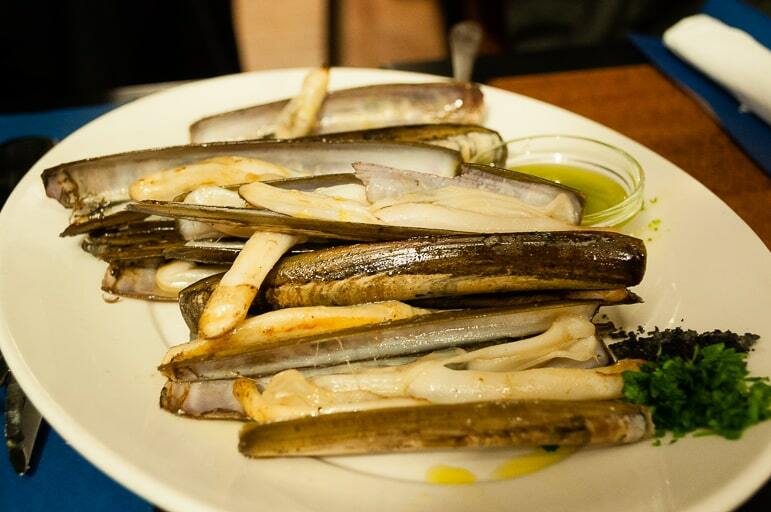 Head to Ca’n Bernat d’es Grau for its excellent fish dishes such as fantastically fresh razor clams and king prawns. 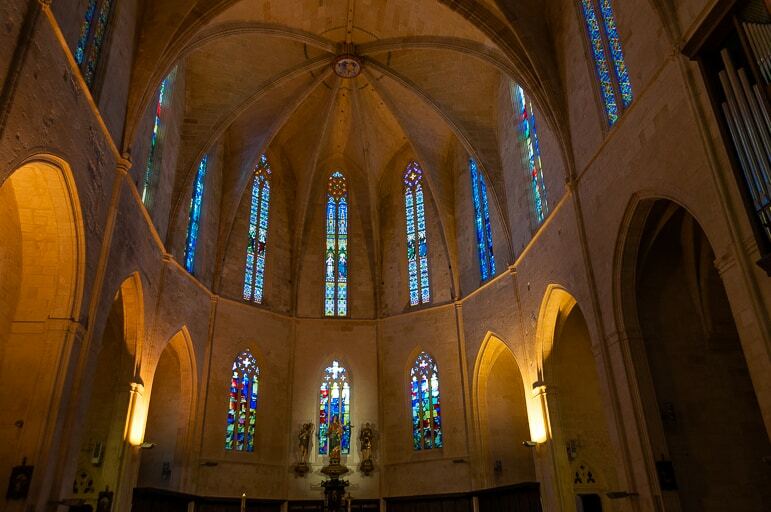 If you’re there over a weekend, try heading to the Mercat des Peix, or fish market, for another local experience. There’s tapas of chorizo, croquettes, cheese, and fish (of course), alongside music and a family atmosphere. 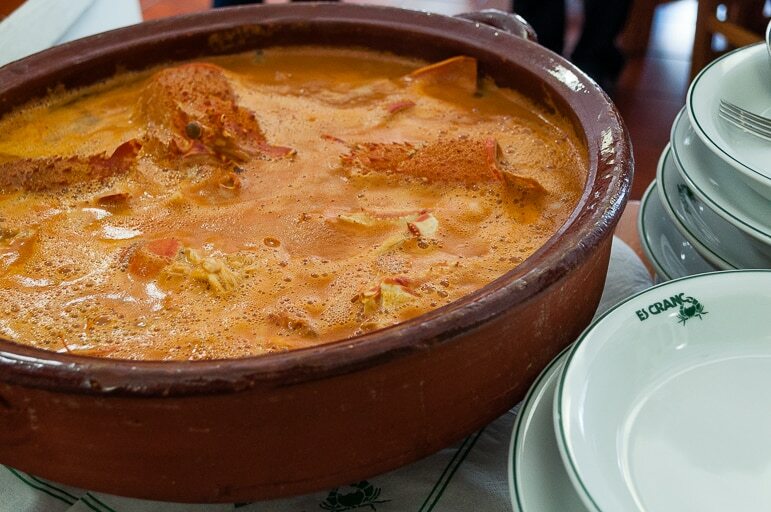 Don’t miss a traditional caldareta, or lobster stew, lunch at Es Cranc – it is a favourite of Spain’s former king Juan Carlos. Ca N’Agadet in Es Mercadal not only delivers delicious dishes such as sobrasada soufflé and (in season) escargot, but they also serve the best pomada I’ve tasted on the island – made with the freshest lemons. Also consider Moli d’es Raco for very traditional food in Es Mercadal. But my top restaurant recommendation on the island? Sa Pedrera d’es Pujol, in Sant Lluis, in the heart of Menorca’s countryside is the one. It handles fresh ingredients with finesse and presents them in dishes with style, such as sobrasada croquettes with spicy pepper marmalade, and Menorcan mushrooms cooked with Menorcan sausage. Menorca enjoys its traditions and this extends to the most popular things on sale on the island. We’re not just taking handicrafts that will never see the light of day when you get back home either. 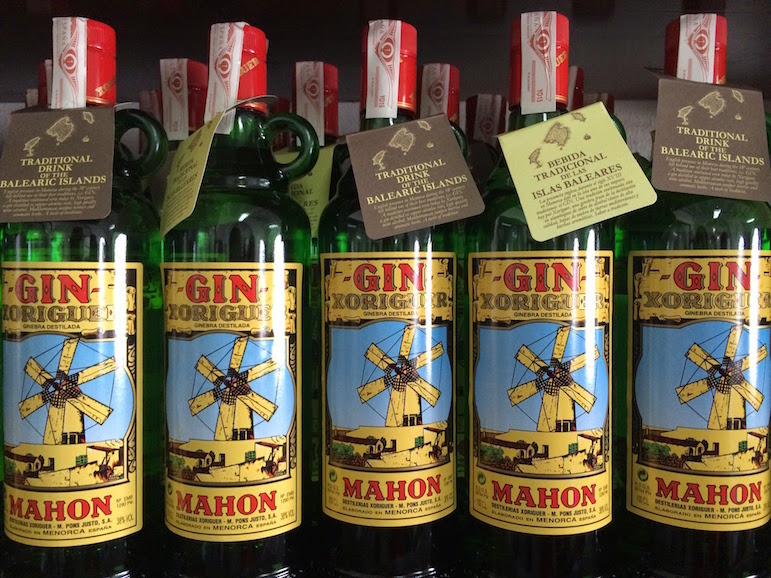 Save room in your suitcase for Menorcan gin. Xoriguer has been produced on the island for more than 200 years. There’s also a solid selection of island-produced wines – our favourites are Binifadet’s crisp, white Merluzo, and Hort Sant Patrici’s Cabernet Sauvignon. 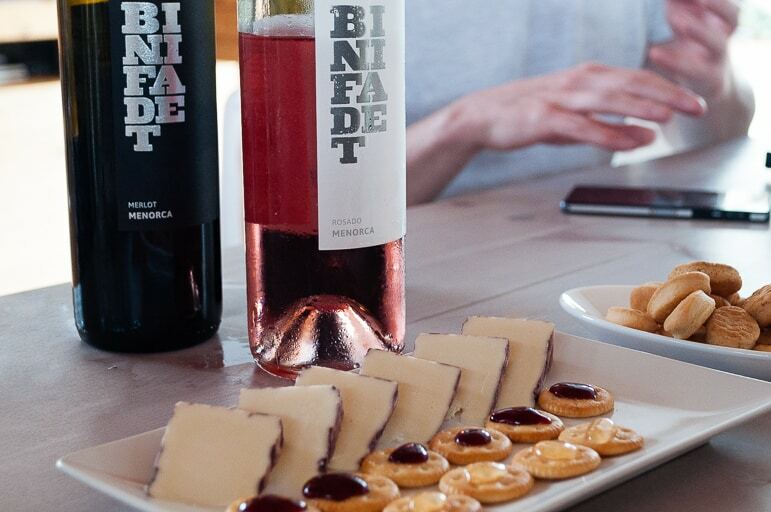 Both vineyards are worth a visit too for tastings, at Binifadet for a meal, or to discover the cheese at Hort San Patrici. Speaking of cheese, this is another popular suitcase filler, Menorca’s artisan cheese-makers serving a great variety of tastes from mild to strong and nutty. 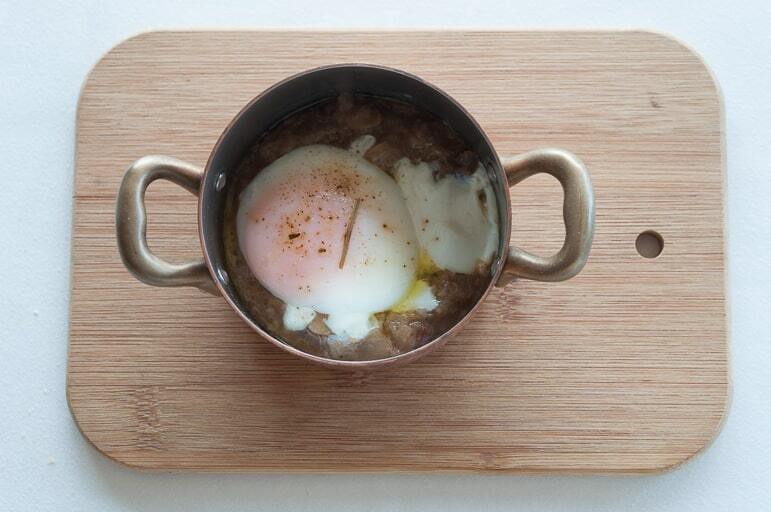 Then there’s sobrasada – a spreadable lightly spiced pork sausage. But Menorca won’t just keep your tummy happy. Your feet will love Menorcan sandals, known as Abarcas, available across the island. These sling-backed, peep-toed flats were first worn by farmers, but these super comfortable shoes are now trendy all over the world. More shoes that have been drawing international acclaim are Pretty Ballerinas, which have been made on the island since 1918. You can also visit the factory outlet shop to find shoes at fantastic discount prices.